Bell Canada, the country's biggest telecommunications company, has agreed to buy Montreal-based Astral Media Inc. for $3.38 billion. Bell Canada, the country's biggest telecommunications company, has agreed to buy Montreal-based Astral Media Inc. for $3.38 billion, giving the company more control over content for its cellphone, internet and land-line services. The company has pledged to pay $50 per share for Astral, a 40 per cent premium over the $36.25 level that Astral Media shares closed at on the TSX on Thursday. BCE: 28 conventional TV channels including CTV, 30 specialty channels including TSN. Other notable assets include French sports channel RDS, music channel MuchMusic, business channel BNN, the Sympatico.ca website and 33 radio stations. Astral Media: 24 specialty and pay television services including HBO Canada, the Movie Network, Family, Teletoon, Music Plus, CinéPop and others. Astral also has 84 licensed radio stations in 50 markets across Canada under brands like Virgin Radio and EZ Rock. Rogers: Largest television assets consist of the Citytv channels and Rogers Sportsnet. Rogers also has 55 radio stations across Canada and some of the largest magazines in the country including Chatelaine, Canadian Business and Macleans. Astral owns radio stations and television properties that include HBO Canada, the Movie Network and the Family Channel. It also has an advertising division that operates billboards across the country. 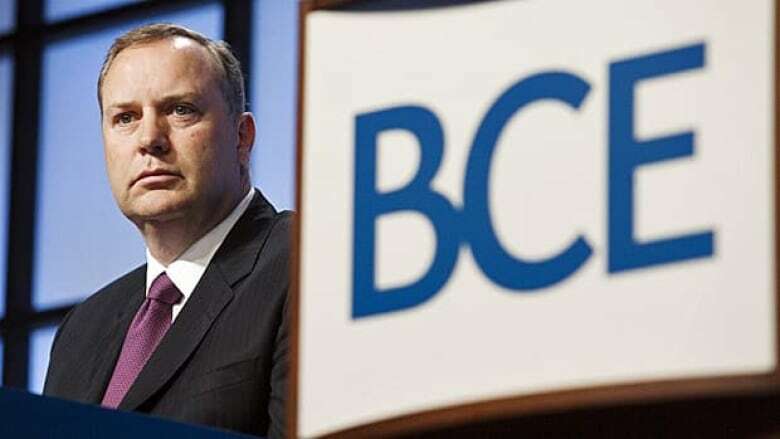 Bell's owner, BCE Inc., made the purchase announcement Friday morning. "This transaction further accelerates Bell's strategy to deliver leading content like Astral's across our world-leading networks to all the broadband screens — TV, smartphone, tablet or computer — that our customers may choose," Bell chief executive George Cope said in a statement. Astral's assets will reinforce Bell's French-language content significantly. Astral currently takes in more revenue from its Quebec operations than does Bell Media. "Bringing [Astral] in with the Bell Media and CTV assets makes for an unmatched competitor now in the marketplace," Cope said at a press conference in Montreal explaining the deal. "It's a great day for us, vis-a-vis our competitors," Cope said. "Particularly our major competitor here in Quebec." In the aggregate, the combined viewership of Bell and Astral businesses in the province of Quebec adds up to roughly 32 per cent, Bell said Friday. That's within striking distance of the leader, Quebecor, which currently claims just over 36 per cent of viewers. Astral Media founder Ian Greenberg will join BCE's board of directors as part of the deal. Does media concentration in Canada concern you? BCE, which owns Bell Media, says it will assume $380 million in Astral's debt as part of the purchase. The transaction would need approval from the Canadian Radio-television and Telecommunications Commission and the Competition Bureau before completion. It's the third major content acquisition in a little over 18 months for BCE. In late 2010, the company gave its Bell Media division a huge boost by absorbing the assets of the CTV broadcasting empire. And late last year, Bell partnered with its rival, Rogers, to buy the company that owns the Toronto Maple Leafs, Toronto Raptors and numerous broadcasting properties — another bold attempt to purchase exclusive content that can be disseminated along the company's numerous wireless and broadcasting networks.